You are invited to an EPFL Alumni evening conference about the potential of Blockchain beyond cryptocurrencies at Campus Biotech in Geneva. 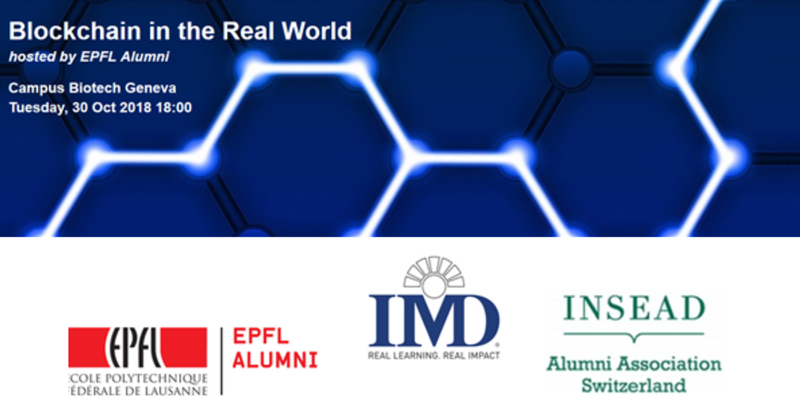 The EPFL Alumni invites INSEAD alumni to a Blockchain panel discussion featuring a great lineup of speakers with diverse expertise, including executives from the ICRC (non-profit), IBM Research, Metaco (Fintech), State of Geneva (eGovernment), EPFL and Temenos (Fintech). During the conference, EPFL Professor Bryan Ford will set the scene with an overview of Blockchain and forthcoming developments. A networking dinner will follow the panel discussion. Join alumni from EPFL and IMD to explore the benefits and hurdles of Blockchain and impact it will have on our world. Book early to make sure you get a seat! PrevPreviousJun 28 Swiss Healthcare Club (CHIC) Value-based Healthcare: a fad or miracle cure for systems globally?